When faced with homelessness and unemployment, Brandi didn’t give up. 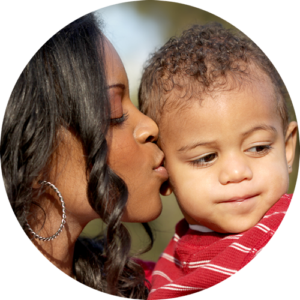 Instead, she sought ways to improve life for her and her two-year-old son, Kaiden. She needed support and Matrix Human Services was there to help guide her down the road to independence. Within a month of Brandi learning about Matrix’s Head Start program, Kaiden started classes on the East Side of Detroit at our Infinity II Matrix Head Start Center. Brandi was now able to transition to a new chapter of self-sufficiency. “Kaiden was able to be with other kids his age, which helped him interact more and catch on quicker to new skills,” said Brandi. Brandi’s Family Advocate (Matrix counselor) played an instrumental role in helping her achieve short and long-term goals, including, to one day, become a teacher. “Knowing my son was being taken care of at school, I could focus on myself and work with my Family Advocate to gain employment and find my family a home to call our own,” Brandi said. 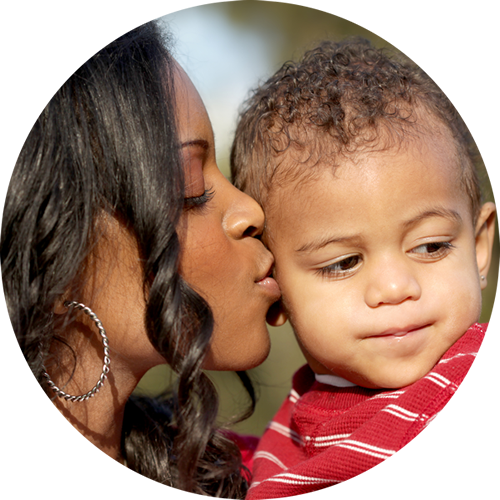 In addition to securing a job and housing, Brandi became a parent volunteer at her son’s Head Start center. Goals started to become reality as she was hired by Matrix as a full-time, paid volunteer at Infinity II. “Volunteering has helped a lot by giving me hands-on experience working with children in a classroom environment,” added Brandi. Now enrolled in Matrix’s Child Development Associate (CDA) 2017 program, Brandi has her eye on becoming a Head Start assistant teacher. Through additional classes, training and goals, Brandi continues to challenge herself to become the best version of herself, for her and her son.